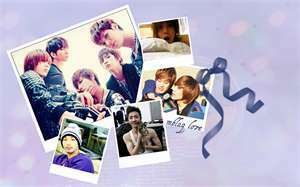 Memories of MBLAQ. . Wallpaper and background images in the MBLAQ club tagged: mblaq joon thunder mir seung go kpop. This MBLAQ photo contains nevera eléctrica, nevera, nevera, congelador, and refrigerador. There might also be animado, cómic, manga, historieta, anime, and dibujos animados.